Since working in a wellness industry for many years, my desire for blogging on delicious food which everyone could enjoy and at the same time be healthy, grew stronger and stronger. This carried me over to researching all these years, for some healthy recipes and found many, not that pleasing for my palates or were unhealthy; so I was a bit disappointed. Inspired by the great speech of a doctor, my thoughts rolled back to my childhood days, when my family was eating very tasty foods and at the same time were healthy too. I don’t remember visiting a doctor for the exception of fracturing my shoulder, that too a country vaidyan (traditional medicine practitioner who never studied in a medical school) who treated me with some fresh leaves and homemade oils. By the way the place referred to here is a small village in Kerala, India. Right now I am thinking of my grandparents who were very hard-working, since they had to manage acres of cultivated lands and paddy fields as well as goats, cows, chickens, rabbits, honey bees etc. They lived a long and healthy life too. So I went back to those days and researched their life style and eating habits including their cuisines’ some of which I will be sharing with you here. shapes and sizes; food storage was done on a hanging piece of coir (Uri) instead of a fridge, there was no electricity and kerosene lamps were the only source of light. While men would toil hard in the fields, women had to do multi tasking chores like cleaning the house, cooking, washing clothes, fetching water, fire wood and taking care of children and elderly people. Since there was no fridge to store food, they could eat freshly cooked meals with just plucked vegetables and fruits. Meat, Poultry and fishes also were very fresh and organic. Honey was consumed now and then from bee hives which were grown in the house. Fresh toddy straight from toddy tree or coconut tree was a very healthy drink every morning. I loved the sweet toddy which tasted like sugar cane juice. My mother would make Jaggery and Pani (something like melted jaggery) from it; the yummy taste of it vow…my mouth is watering right now. Eating well was the need of the time since they had to work hard the whole day; walk kilometers daily to go to neighbors or relatives houses, shops, schools, churches, temples and mosques. There were no bakeries and fast foods. No packet milk or soft drinks and everything consumed were natural. Sunday was the only rest day for my grand parents. Joint family system reigned everywhere and family as well as neighborhood bonds were very strong. So, 4D (Physical, mental, emotional and social) health was taken care of very naturally. Morning and evening bathing was done mostly in rivers, ponds or near the wells, which had very cool and good water. The above were the routine habits of everyone. Those who did not have their own properties and fields would go to others fields to work and earn their livelihood. Since there was no electricity or television the days would end by 7.00 pm. After a whole days hard toil, no one would be awake from 8.00 pm to 5.00 am. The song “Early to bed and early to rise, makes a man healthy and wealthy and wise” is really upright here I feel !. 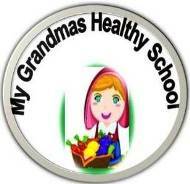 Let me now take you to my grandma’s healthy school for making delicious food for you and your family’s healthy eating. Wish everyone who visits this site an awesome experience in getting some ideas for obtaining good health of mind and body. Here starts my Blogging journey….appreciate your help and support as I go on this happy and healthy journey. Once a girl of 7th grade came home after her school, had her tea and snacks then ran to the paddy fields of her father, without even changing her school uniform. She loved playing in the water and catching little fishes from the small streams near the fields. On that particular day there were about 5 women and 2 men doing weeding and putting manure for the paddy which had grown to about 30 inch height. As the workers got busy with their work, the little girl engaged herself in catching tiny fishes from the field. When she tried to catch the fishes from the gushing water they escaped with the force of the water. So she thought of stopping the water flowing from one field to the next. She wanted to close the small passage of the field through which water was gushing and went in search of stones on the foot path of the fields. She began picking up stones and filling the passage. Then she noticed a bigger stone on the huge foot path of the field which was a raised dry place. That stone was big enough to close the passage. So she went to the stone and saw a part of it was buried in the ground; with a lot of force she managed to pull the stone out and suddenly a snake which was under the stone bit her finger, though she pulled the hand, the snake was hanging on her finger, she shook the hand very hard and the snake was thrown to the field and fell right in the middle of the ladies who were working and they yelled, screamed and ran. Her neighbor and her father’s friend, who saw it, ran to the field with a stick and killed the snake. In the meantime the women went to the girl and tied the string of her uniform skirt on top of the snake bite and send her home. The girl walked down to her house which was half a kilometer away, she was not at all frightened. She reached home and told her mother what happened and showed the snake bitten finger to her. Her mother was a very courageous woman. Long before this girl’s birth, she was bitten by a cobra but she thought that was an ant bite and walked to her uncle’s house. The poison passed through the whole body and was almost at death-bed. Since her uncle was a traditional medicine practitioner who was famous for treating snake bitten patients, came to her help and rescued her. Her uncle died before this girl was born. Her mother took a sharp blade and cut the girls finger where the snake bit. Already that portion was dark blue in color; she pressed it and removed all the blood and poison of the snake and washed it thoroughly. Meantime her mother told the maid to bring some medicinal leaves and fresh turmeric root from the garden, she brought them and got it grounded to a smooth paste and gave to the girl’s mother. She applied that paste on the girl’s finger and tied it with a cloth. The girl bore up all the pain without any fear or crying. After 2 or 3 days the wound got healed and she was very happy running to the field to play again. A long-awaited happy Saturday arrived for Reenu. Her Uncles son’s wedding would be on Sunday. She with her older sister and mother reached her mother’s brother’s house on Saturday morning. It was a very happy occasion for Reenu and all the children of the family, who met only once in a while for celebrations like this. Their enjoyments were climbing trees, running and playing in paddy fields in the heavy rain, swimming in ponds and rivers etc., since it was the non-digital age. Reenu enjoyed the Saturday to the maximum with her cousins and their neighbor’s, while older people were busy preparing meals; some men got busy with killing and dressing bulls, pigs, chicken and goats for the next day’s wedding party. By the way in those days there were no catering services or fridge and freezers, so everything was made fresh at home. A wedding in any house in the village would be a feat for all in the village. Lots of people to do various works; all cooperated and made the marriage function very grand. Reenu liked to see the wedding hall being prepared at the courtyard with betel nut-tree barks and bamboos. Roofing was done with coconut leaves. Inside sealing and around were covered with white clothes and beautiful saris. On the whole the wedding hall (Panthal) was really grand and unique. Reenu loved to help in hanging decorations made of tender coconut leaves. On Sunday morning Reenu got up early and wore her brand new dress which her father bought for her. After the wedding ceremony everyone came to the wedding hall and had a grand feast of variety foods served on banana leaves (Sadya). Reenu loved to eat payasam and pani (sweet made from sweet toddy) as well as boiled beetroot bits in coconut milk and honey. After the sadya people began to leave. Reenu and other children again got busy playing while older people were putting back things in order and chatting. Some uncles were drinking some toddy too. The next day was a Monday and a day which Reenu didn’t want to come soon, because she had to go to school. She was a student of 4th grade. After dinner her mother told her to go to sleep early and get up in the morning so that they could catch the earliest bus to leave for home. Reenu knew that her mother wouldn’t spare her from going to school. Next morning her mother woke up Reenu and her sister, they brushed their teeth, had a bath in the small stream near Uncles house and picked up the new dress which was put on the palm leaf railings of the wedding hall. Reenu wore the dress and got ready. Now her uncle and some others were in the sitting room talking and discussing various things. Reenu went and sat on the arm rest of the settee (huge arm-chair)on which her mother was sitting and after few minutes something bit her on the thigh, so she told her mother something bit her and her mother said, “ it must be some bed bug, don’t carry it home”. Reenu was not a fussy child, so she didn’t say anything. While they were having breakfast, again something bit her under the arms and she told her mother, “Amma, something bit me”; again her mother scolded her and said, “Don’t simply fuss over and try to remain here, you don’t want to go to school, that’s why you are trying from long back to find excuses”. Again Reenu kept silent and had her breakfast. After the breakfast they wished everyone and left for the bus stop. While they were waiting for the bus, again something bit her stomach and this time the bite was more painful and Reenu said, “Ah! Something bit me here”. Then her mother felt that there was something wrong and she just lifted her skirt and saw on the white petticoat just below the skirt, at the center of the stomach an 8 inch long, huge red and black colored centipede sitting in a circled position. Her mother took a small stick from a plant and pushed the centipede down and killed it. Reenu was really amazed to see that and said, “Amma, the bed bug grew so fast and became such a big centipede? !” By the time the bus came and they went home. panchakam (Hibiscus surattensis a wild plant common in Kerala), got some fresh milk from the cow and ground it with milk and applied it on the bitten parts every now and then. Though there was lots of pain and itching, Reenu was very happy because she did not have to go to school that day. After few days the swelling and the pain all disappeared. Moral: Never take anything for granted, even if it comes from a small kid, otherwise you may have to regret for it later. The background of the story is a small village filled with paddy fields, streams, rubber estates, coconut groves and huge rocks on top of which lots of families are dwelling in small huts made of mud bricks and coconut leaves. Other houses, including Sharon’s house are far since each family owned acres of lands and built the houses in the middle of their properties. Sharon was the youngest of 7 children from a middle class family. Her house was situated at the center of 7 acres of land filled with rubber plantations, coconut palms, Jack fruit, mango and other trees and vegetable plantations. They had bulls, cows, goats, chickens, pigs, rabbits and dogs. There was a huge paddy field too. So their closest neighbors’ lived half a kilometers away. This incident took place when Sharon was studying in 9th grade. One day the usual bus in which she used to travel broke down and the next 2 buses didn’t allow the students to enter in due to overcrowding, so she had to take a later bus to return home from school which is 10 kilometers away. By the time the bus reached her home village, it was 7.30 pm and was dark everywhere except in few shops which had gaslights. By the way this was long back in 1979 when there was no electricity or telephone in the village. She was really scared to go home which was 2 kilometers walk from the bus stop. The paths were not visible in darkness and Sharon knew there were poisonous snakes, scorpions and centipedes everywhere; but somehow she gathered all her courage and went to her father’s friends shop to fetch a candle. The shop keeper wrapped a paper around the candle, lit it and put a coconut shell as cover to protect it from breeze and gave it to her. Suddenly a young hefty, rough-looking man who was standing near and watching everything, Sharon had never seen him before asked her, “Shall I come with you to reach you home?” She looked at him and looked at the shop keeper again and again because the man looked very serious and frightening; any way after few moments of hesitation she said, “yes”. The man took the candle and Sharon’s school bag and asked her to follow him. He walked in front of her with the candle light and Sharon walked behind him silently trembling with fear. They climbed over a huge rock to take a short cut, crossed over small streams and fields; found some water snakes passing by and huge frogs jumping off their way, Sharon wanted to scream with fear but pretended to be brave. After the fields came their coconut and rubber plantation; in pitch darkness everywhere, they walked in the faded little light of the candle without uttering a word. The sounds of crickets and owls were terrifying, the light of the candle was as tiny as the light of a fire fly and she could not see anything except the man’s shadow. Somehow they reached home and her mother and siblings were surprised to see her coming home with that man and asked, “Did you not see your father and brother?” she said, “No”. They had gone to the bus stop to fetch her. They thought since she was alone she wouldn’t take the short cut which was dangerous so they went through the straight road which is a longer way. Her mother asked the man to have dinner before leaving as a formality, but he refused and she gave him a bigger candle, thanked and sent him away. The moment he left their courtyard, she went to Sharon and said, “Why did you come with that man in this darkness? Couldn’t you wait at the bus stop or in the shop, where everyone know us? Anyway your father or brother would come to fetch you. Thank God you reached home unhurt, do you know who he is? He is a criminal who stabbed and killed Mr. Chacko and put his small intestine around his neck like a garland, he was behind the bars for all these years and now is on parole”. Sharon said, “I didn’t know all his past, I only saw that he is a man who is ready to help me reach home, there were so many other people but no one was ready to help me”. By the time her father and brother came running home all panicky, hearing from his friends that Sharon left the shop with that man; they feared that he must have done something to her on the dark lonely way. Only when they saw her safe and alive their breath became normal. And her father said, “Even a criminal can be kind and good at times”. Now when Sharon has grown up and when she thinks back, tears roll down her eyes thinking how each one of us judge people. Once a criminal always a criminal, even if he changes his life and try to live as better human beings, our society would put a black seal on him and prevent his peaceful living. Sharon too might have done the same if she knew his past before the incident. Since she was unaware of that she blindly trusted him and he was her savior on that particular day. Sharon always remembers him and prays for his soul since she came to know that he hanged himself after some months because of the treatment of his society. No one was ready to see him and accept him as a normal human being who in his weakest moment committed some crime for which he had already undergone punishments and changed his life. Moral: Never judge people looking at their past life, past is in history and are far gone. No one is the same every day, every human being is changing moment by moment. Don’t think every one is thinking the way you think. Even the worst criminals can have some ray of goodness in them. Sweety a very happy little girl lived in a small village of Kerala. She had her father, mother and siblings whom she loved very much. At the age of 3, one day sweety’s mother called her and her older sister in the night before going to bed to give them de-worming medicine. Sweety and her sister loved the medicine because it was sweet and tasty. The medicine was kept in one of the bed room cupboards. In the dim light of a kerosene lamp her mother took a bottle from the cupboard, poured the liquid into a tea-spoon and gave to Sweety the youngest girl. She drank it and said it had some bad taste, her mother told her not to make a fuss and gave her the 2nd spoon but Sweety refused to drink it saying her tongue was burning, so her mother forced and put it in her mouth and the little girl spat it out saying it had some bad smell and taste. “What bad taste for ante-par syrup? just drink it and go to sleep”, said her mother. At the same time she just smelled the bottle; then got a start of her life knowing that she had taken the wrong bottle, instead of ante-par the little girl drank turpentine which was kept in the same shelf. Her mother got frightened and put her finger in the little girls mouth and made her vomit out the turpentine, then she made her drink coconut oil after which warm water and honey were given to drink. When her father came to know about what had happened he scolded the mother for being so careless and asked her if she was trying to kill the girl. Sweety was so happy to hear that for she was her father’s pet. The next day Sweety got up as usual and went to play as usual. There was no symptoms of any burn or poison in her body. And her mother and father were very happy to see her unharmed. Dear Readers, please note all that is written here are the outcome of my research and understanding of a Universal Prayer, the “Gayatri Mantra”. Thanks to all the YouTube contributors and writers. References are all at the bottom. This may not be a perfect explanation because my small mind can hold only so little of the Mystical knowledge of India’s Great Sage Vishwamithra. There might be great scholars who can understand this better, I request my readers to forgive me if I have made any mistakes in this. First of all, I was born in a Christian family and after learning our scriptures and reading the scriptures of all religions found the Universal truth: “All are striving towards a single goal using various paths and means”. Though our ultimate goal is one and the same the paths (Religions) are dividing us. Now my religion is humaneness. I love Gayatri Mantra and recite it daily several times of the day. It really gives a positive energy and enthusiasm. Now let us go deep into its explanation by several great Pundits. By the way Gayatri Mantra is not a prayer to the Hindu God’s, that’s only a misinterpretation of several religious leaders, it’s an Indian prayer to praise, worship and adore the almighty God who controls the Universe and it’s a scientifically proven powerful Hymn which energizes the whole body and creates holistic health. According to Douglas Brooks, PhD, a professor of religion at the University of Rochester and a teacher in the Rajanaka yoga tradition, the Gayatri mantra first appeared in the Rig Veda, an early Vedic text written between 1800 and 1500 BC. It is mentioned in the Upanishads as an important ritual and in the Bhagavad Gita as the ‘Poem of the Divine’. The Gayatri is considered as the essence of the Vedas. ‘Veda’ means knowledge, and this prayer fosters and sharpens the knowledge-yielding faculty. As a matter of fact the four core-declarations enshrined in the four Vedas are implied in this Gayatri mantra. “Gayatri” is a Sanskrit word; it’s the feminine form of “gayatra” which means a song or hymn, having a Vedic meter of 3 padas or lines of 8 syllables. The first line (Aum Bhur Bhuvah Swah) is considered an invocation, and is not technically a part of the original Gayatri Mantra as it appears in the Upanishads. Gayatri is also referred to as a Vedic poetic meter of 24 syllables or any hymn composed in this meter. Hence, there exists a whole family of Gayatri Mantras, which serve as meditative aids to pray for the blessings of God. A famous quote in Sanskrit brings to surface the efficacy of Gayatri Mantra. It goes thus, “Gayan Trayate Iti Gayatri”, meaning Gayatri is the protector of those who chant it. Gayatri mantra is called the mother of all mantras. In the Hindu pantheism, a lot of importance is given to Vedic chanting’s as they carry a lot of positive vibrations that are highly beneficial to enhancing the physical, mental and spiritual health of a person. Gayatri mantra is found to be the highest and most powerful hymn in the world. It’s a combination of sound waves of a particular frequency, this hymn is claimed to be capable of developing specific spiritual and physical potentialities. The Hamburg University initiated research into the efficacy of most powerful Hymns of all religions and found the Gayatri Mantra the most efficient Hymn in the world. Because of the various vibrations it creates both on the mental and physical plane of creation. On the basis of science and research, Gayatri Manthra produced 110,000 sound waves per second if chanted properly. And Now the Gayatri Mantra is broadcasted daily for 15 minutes from 7 p.m. onwards over radio Paramaribo, Surinam, South America for the past two years and in Amsterdam, Holland for the last six months. Indonesia is a Muslim country, but women in Bali, a small Island of Indonesia recite Gayatri Mantra every day. So people who say Gayatri Manthra cannot be chanted by women are really not true says many wise Guru’s. The Gayatri Manthra is a Universal prayer enshrined in the Vedas. It is addressed to the Immanent and Transcendent Divine who has been given the name ‘Savita,’ meaning ‘that from which all are born.’ The Gayatri may be considered as having three parts – (i) Adoration (ii) Meditation (iii) Prayer or request. First the Divine is praised and then is meditated upon in reverence and finally an appeal is made to the Divine to awaken and strengthen the intellect, the discriminating faculty of man. ‘OM’ (ॐ) is the sound produced by the sun and whole galaxy as it moves; The First Word Om (Aum) is also called Pranav because its sound emanates from the Prana (vital vibration), which feels the Universe. The scripture says “Aum Iti Ek Akshara Brahman” (Aum that one syllable is Brahman (Almighty God who has no beginning or end)). OM therefore, represents both the not manifested or revealed (nirguna) and manifested or revealed (saguna) aspects of God. That is why it is called pranava—meaning that it pervades life and runs through our prana or breath. Because of these meaning variations, when the Hymn is translated from Sanskrit to other languages lots of misunderstandings and mistakes could occur according to the language efficiency and understanding of the translator. Sometimes it may be totally different from the author’s description. This is just what happened to all the scriptures including the Bible. Sometimes it could be the opposite of what the author really meant to disclose. So according to our small understanding we can very well say that Gayatri Mantra is a payer to the one and only God our Father, the creator who is Almighty and All Powerful, who is the only one who knows the past, present, future and beyond future. This is not a prayer to any Devi or it’s not the prayer of only Hindu religion. This is a prayer composed by the enlightened Indian Maharishi Vishwamithra to achieve enlightenment or the true wisdom. Thus all persons from any religions can recite and meditate upon this, since all of us worship the same God, through different means. Just as we take different roots and vehicles to reach any tourist destinations, our ultimate destination is to be one with our creator. The ways (religions) are all dividing factors of humanity. Our minds must be opened and enlightened to realize this true fact and move in the right direction following the Will of the Divine. In general, we meditate on that most adored Supreme Lord, the Protector, the basis of all life, Who is self-existent, Who is free from all pains and Whose contact frees the soul from all sufferings, Who controls the Universe and sustains all, whose divine light illumines all realms (physical, mental and spiritual).of the whole Universe, the Giver of happiness, Who is worthy of acceptance, the most excellent, Who is Pure and the Purifier of all, may this Divine light illumine our intellect and may It direct our mental faculties in the right direction just as He directs the Sun and the whole Galaxy. In short, God is dear to me like my own breath; He is the dispeller of my pains and giver of happiness. I meditate on the supremely adorable Light of the Divine Creator, that it may inspire my thought and understanding. Pradhan B, Nagendra HR. Effect of Yoga relaxation techniques on performance of digit-letter substitution task by teenagers. Int. J. Yoga 2009 Jan; 2(1):30-4. Doi:10.4103/0973-6131.43293. PubMedPMID: 2123413; PubMed Central PMCID: PMC3017965. Kalyani BG, Venkatasubramanian G, Arasappa R, et. Al. Neurohemodynamic correlates of “OM” chanting: A piot functional journal of Yoga 2011;4(1): 3-6. Doi:10.4103/0973-6131.78171. Lavretsky H. Siddarth P, Nazarian N, et al. A pilot study of yogic meditation for family dementia care givers with depressive symptoms: Effects on mental health, cognition and telomerase activity. International journal of geriatric psychiatry 2013; 28(1): 57-65. Doi:10.1002/gps.3790. Bernardi L, Sleight P, Bandinelli G, et al. Effect of rosary and yoga mantras on automatic cardiovascular rhythms: comparative study. BMJ: British Medical Journal 2001, 323(7327):1446 – 1449. Nagarathna R, Nagendra HR. Yoga for bronchial asthma: a controlled study. British Medical Journal (Clinical Research ed.) 1985, 291(6502):1077-1079. Thanks a lot for reading. Please share this to as many people as you can. I had a great opportunity to have a personal interview with him at Cochin guest house together with 3 of my colleagues. A time which I always cherish in my life. Lucky to spend few moments with a great visionary. As the American healthcare system grows progressively stressed and truly patient-centered care becomes increasingly difficult to find, more people than ever before are looking for alternatives to the conventional healthcare model. Integrative medicine, which focuses on caring for the whole human being—body, mind, spirit, and community, not just flesh, bones, and organs—is steadily becoming a desirable and logical option for many people. Looking for a health provider who is practicing integrative medicine in India? Contact Dr. A. Sreekumar who is a Senior Consultant in ENT & Head and Neck Surgeon with more than 34 years of clinical practice and has been actively practicing Nutritional, Environmental & Cellular Medicine since 2001. Soukhya Training and Research Institute hosted Indian Nutritional Medical Association‘s 8th International Conference in Nutritional and Environmental Medicine from 20th – 22nd April 2018 at hotel Radisson Blu Cochin. Fellowship certificates were awarded to 25 health care professionals who completed the FINEM course. Ernakulam District Collector Mr. K. Mohammed Y. Safirulla IAS presented the Fellowship certificates at the presence of Dr. A. Sreekumar Course Director of Soukhya; Prof. Dr. C. Basavaraju, Vice Chancellor, Mysore Open University; Dr. Kamal Karl Newzealand, Prof. S.N. Hegde, Former Vice Chancellor, Mysore University; Prof. Dr. Ushy Mohandas, Bangalore, Dr. Gary Deed, Australia, Dr. Lenny Da Costa, Goa; Dr. Leroy Rebello, Hyderabad, Dr. Sudha Chepyala, Hyderabad and many national and international speakers as well as delegates from various countries. Professor Ian Brighthope is a pioneer of nutritional medicines in Australia who also has a high reputation wold wide in medicine and health care industry. He is credited with coining the term ‘integrative medicine’ to define a healthcare philosophy that combines complementary medicines and modern medical practical in optimizing patient’s health through diet and the use of nutritional supplements. Read more…..
Dr. Ian Brighthope: – “If you want to know what we can do about the drug problem in this country…” Click here…. Higher than currently recommended amounts of the ‘sunshine vitamin’ might offer protection against colorectal cancer. Suspect melon sold in eight states: Georgia, Illinois, Indiana, Kentucky, Michigan, Missouri, North Carolina, and Ohio. Read the rest…. Sugar is tastier when you add butter and the brain knows it…Learn more….